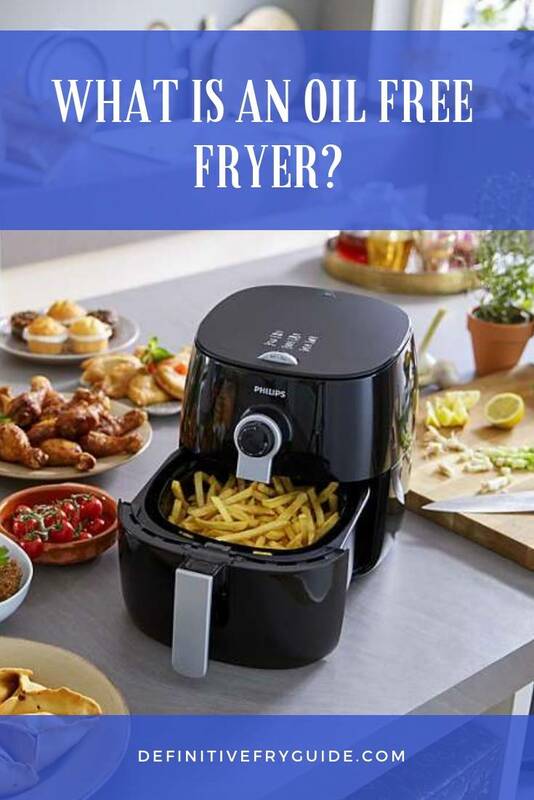 Home » Guides » What Is An Oil Free Fryer? When it comes to healthy living, the oil fryer is one of the worst products you can choose. Since it makes use of cooking oil, it can easily spike your cholesterol and blood pressure levels, leading to heart problems that could have been avoided. Fortunately, technology has evolved in such a way that oil fryer is not the most important appliance you can choose. However, using an Oil-free Fryer is a little different and your food might have a different texture to something that is drenched in loads of oil. 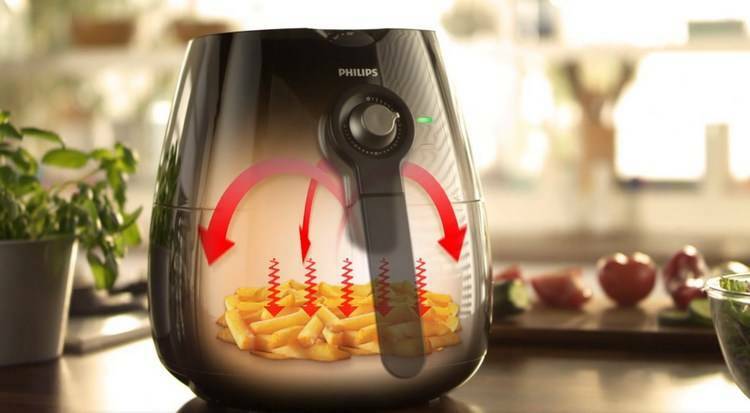 We have done some legwork to understand more about the Air Fryer and some of the benefits that it could offer the user. In this article, you will learn what an oil-free fryer is and why you should choose one. The Air Fryer is the new replacement for the oil fryer and it has introduced new technology with the name of Rapid Air Technology to cook your foods that would have been cooked in loads of oil. 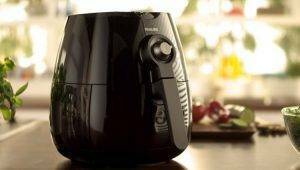 The Air Fryer heats up food to around 200 degrees Celsius and allows the food to have that brown texture without the need for oil to crisp them. While the oil fryer might be a little faster, the food will not be nearly as healthy. The simple element will heat up the food evenly and when cooking with an Air Fryer, it could take up to 12-minutes to have that perfect texture and brown color on the food. While it will reach hot temperatures, most of these fryers also include a supercooling system and this will keep the food from overheating and allow you to serve them at the right temperature. One of the best parts of the Oil-Less Fryer is the versatility that it offers. These fryers are not only designed for cooking your potato chips, but they can also be used to cook meats. If your meat already has a level of fat, the fat can be reduced in the tray and this can easily be removed and disposed of before you enjoy your meal. One thing to keep in mind is that the Air Fryer does not use no oil and you still need to add a little oil to the system fo0r the best results. However, it uses up to 70% less oil than your average deep fryer. Due to the less oil that is used, you can now switch to a healthier oil and using something like olive oil on your fried foods will not be as expensive. Olive oil does have some healthy properties and these can be exploited to help you get all the benefits you need. As we have mentioned, the Oil-Less Fryer does have a couple of great benefits that you can get used to. These benefits are included to ensure a healthier lifestyle and to save you some costs. Lower sodium: In the US, the average person takes in more than 4 times the amount of sodium that the body needs. This can be due to faulty cooking methods and also takeouts. However, with reduced oil, you are in control when it comes to regulating the amount of sodium you take in. Lower cholesterol: Cholesterol is one of the biggest killers around the world and people daily suffer from heart problems that can all be attributed to high levels of cholesterol. Oil is one of the main causes of this and now you can reduce your oil take in substantially. Weight loss: It should come as no surprise that reducing the amount of fat you eat will also have an effect on your weight loss abilities. Oil will become sugar and this will essentially lead to you gaining weight. By reducing oil in your foods, it will be much easier to get rid of unwanted fat. Cheaper cooking costs: if you purchase an Oil-Less Fryer, you might not immediately feel the cooking costs being reduced. However, the Oil-Less Fryers do use less oil and since oil does become expensive, you can cut on this cost. This will enable you to save and perhaps even change your diet to a healthier way of living. Improved energy: Consuming large amounts of oil might give you a fast energy boost, but this cannot be maintained. By changing your diet and eating healthier foods, you will gradually become a healthier person. This will help you improve sleeping cycles and leas to less fatigue during the day. These are some of the common benefits you can expect to find when you choose an Oil-Less Fryer. There might even be more subtle benefits you will start to recognize over time and if you are suffering from any health disorder, the Air Fryer could enable you to even extend your lifetime. Does An Oil-Less Fryer Impact The Taste Of Your Food? The taste of your food will greatly depend on the spices you add to your cooking. When it comes to using an Oil-Less Fryer, it does not directly impact the quality of the food and this has made it an excellent option that many chefs also choose. If you are used to oily food, you might notice an immediate difference. An Oil-Less Fryer is certainly a great option that you should consider and with all of the benefits that it offers, you should definitely consider making the investment. We highly recommend the Oil-Less Fryer for all the health benefits it offers. We would like to thank you for reading this article and encourage you to share some of your thoughts on the Oil-Less Fryer. Let us know if you have used one and if you would recommend it as well.